What they were doing. In order to punish the offender, you must post tangible evidence. Include video, pictures, or anything evidence that shows them offending the user in general. Self-admissions are not enough proof. Although if you try this without proof, you will get punished for wasting our time. Do NOT discuss bans or hackers here. Just post your report, and then leave. False hacking accusations and/or doctored evidence are taken seriously. Discussing hackers/cheaters and bans will also be met with disciplinary action. Last edited by egogoyo; 09-09-17, 02:23 PM. Not sure if this was discussed on y'alls end, but there is a user ID associated in the mobile app that can track to the users account(since there is no technical username). So it might be worth it to ask for that as well. The "username" that is used within the app can be changed at any time. This is particularly useful to know if you are going to report someone. Last edited by SOUP; 08-06-16, 03:15 AM. 3. This may not be enough evidence but I hope you could investigate. It was 6/13/16 and I was playing Yellow Stadium R3 Bananza. At the beginning of the round, he disconnected for 5-7 seconds. 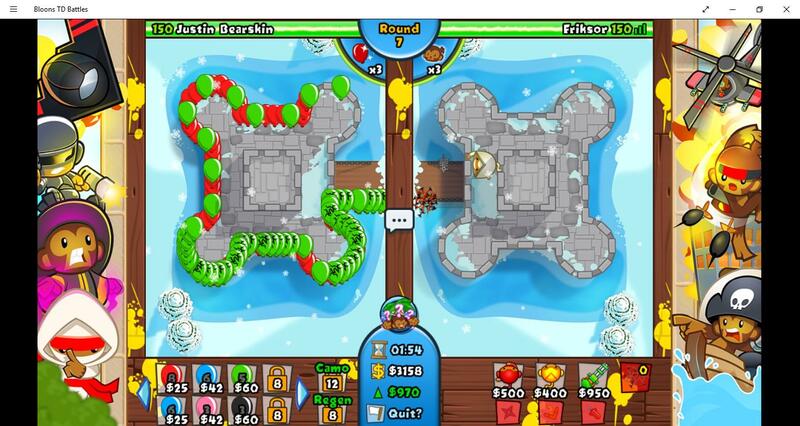 Afterwards, at round 2 I started sending bloons at him. Once they passed his 3 White Hot Spikes, they didn't count against his lives. I thought it was lag at first, then he spammed the smile face at me. It took me awhile to get my snipping tool opened and ready. Sorry! When this happens, it's usually caused by server lag that's delaying the server message that tells the game your opponent has lost lives. This can also cause the game to not show you if your opponent has placed/upgraded other towers etc. Unfortunately, it can be quite common if the internet connection on either side is weak or interrupted, but it's something we're always working on, and we look to improve on it with each update! I will describe what happened: the game was going fairly normally until my opponent disconnected. He almost hit the end of the timer and lost, but he got back just in time. He sold all his towers. He disconnected again, and he got back, he wasn't losing any lives. 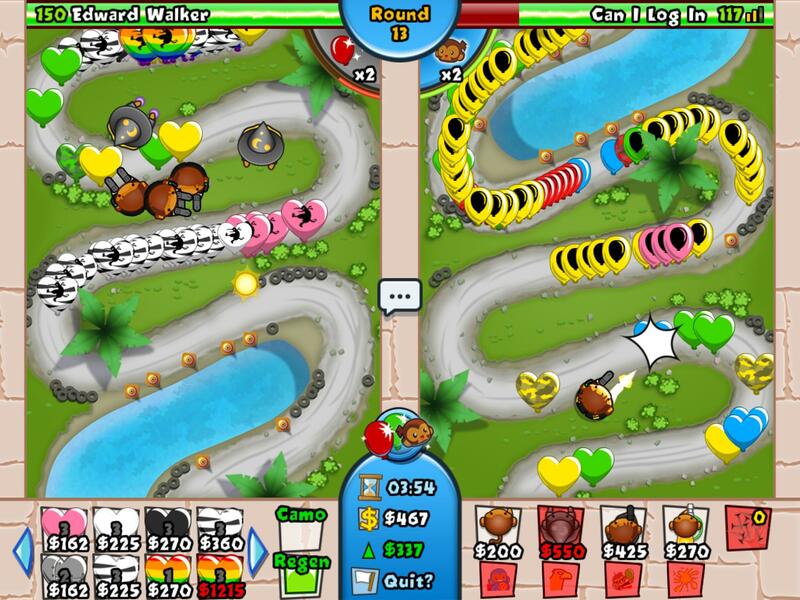 The two images show the difference before and after that group of red bloons go through; that is, no difference. NO WAY HOW DOES HE DO IT??? This is down to the same lag problem as mentioned above If you can message me with your user ID, I'll get the loss removed! No, I am very sure this is a hack. Did you even look at the pictures? He doesn't have a single darn tower! He even laughed at me when he started using it. Going by the screenshots, it looks like the player has disconnected, but the game hasn't delivered that message to you. 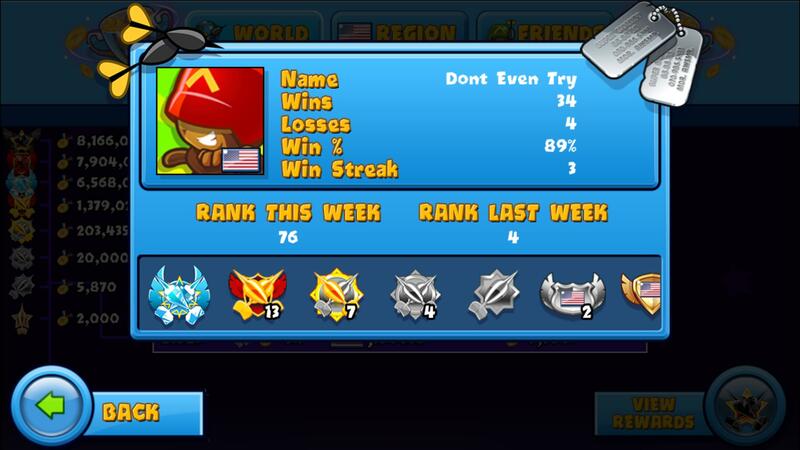 I didn't made screenshot because I've never faced hacker before and if bloons paased but not lives lost it's must lag and after some while victory is official. But not this time. 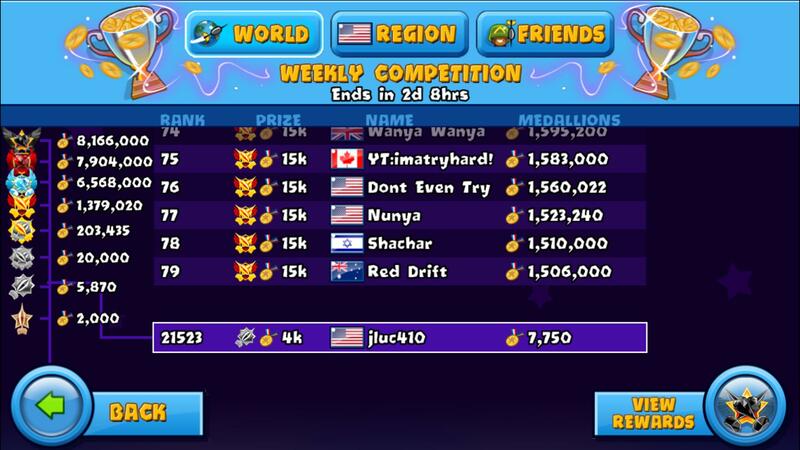 I played against "player", so screenshot whould't help anyway, in speed megaboost (thanks to candyson for almost unbeatable startup). I sent 3 Zomgs at 27? round and they past through - no lives lost. Okey, I thought it's just lag. 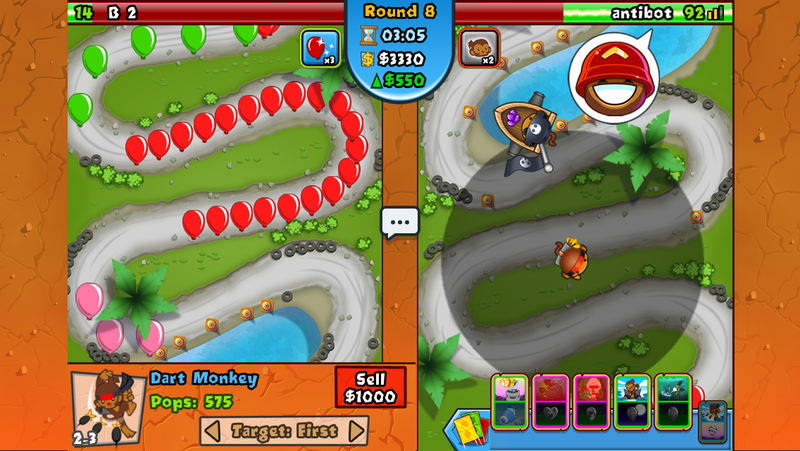 Then no bloons showed up, my Aces 4/2 was flying peacefully. I sent some blacks and they showed up so game wasn't frozen totally. No new rounds thou. 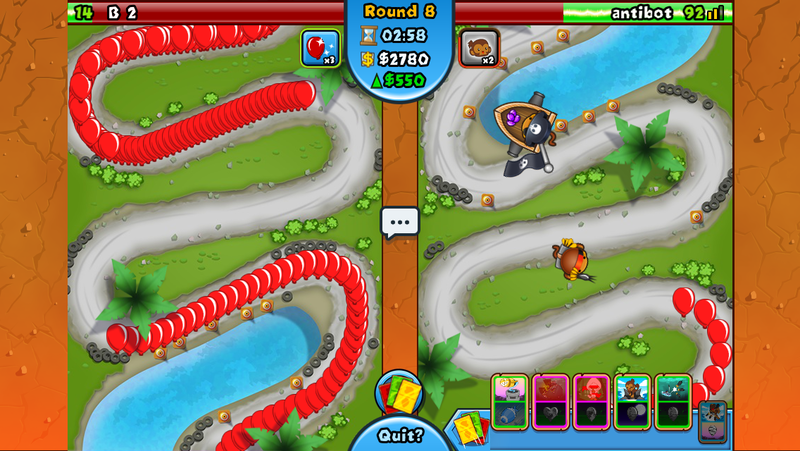 Then there was red waves from probably bloons boost from opponent and still no bloons just a moment later notification - DEFEAT!!! So, what was that? And at which point make sreenshots? I am sure this is impossible for him to get here assuming 25,000 x 34 = 850,000. Unless I am blind with him using the Reset Stats. Last edited by jluc410; 04-07-16, 03:01 AM. jluc410 either that or the leaderboards lag when tallying wins and losses. I hope you use discord, because all the discord servers I go to is here [url]http://tinyurl.com/hkmk97k[/url] so see ya there.